Canon wants you to have the option to keep the optical DSLR experience, even when the camera body itself is compact. They've introduced the Canon EOS Rebel SL1 with new EF-S 18-55mm f/3.5-5.6 IS STM lens ($799 for kit). It's the world's smallest DSLR. Good news is that the SL1 is truly a feat of miniaturization. The camera body measures 4.6" (w) x 3.57" (h) x 2.74" (d), and weighs only 14.36 oz. 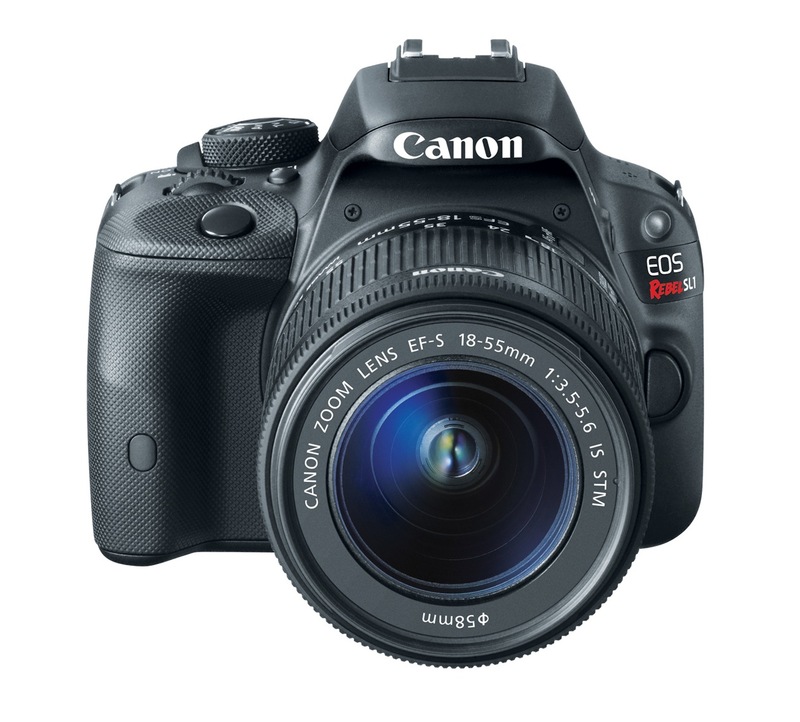 In comparison, the EOS Rebel SL1 is approximately 25 percent smaller and 28 percent lighter than the EOS Rebel T4i digital camera. Canon has also managed to keep the familiar Rebel control layout on the compact body. So the SL1 should be comfortable and easy to use. The tradeoffs under the hood seem more to do with marketing decisions than miniaturization. Frame rate is 4 fps, which is a little slow by today's standards. And flash users don't get wireless control with the SL1. I'm looking forward to the first test results. This could be a good option for those who want to use their existing lenses, but have a smaller form factor option for travel and business. More to come.